A major overhaul occurred this summer as the student life department relocated to Wyse Hall. For years, most of the department operated from within the Administration building. But over time, student life and related departments, such as career networks and academic support, found themselves spread across campus. In the spring of 2018, Gilberto Perez, dean of students, brought forward the idea to combine the departments under one roof in the first floor of the Wyse building. “The main reason for moving the student life team to Wyse Hall is to offer a unified space for student support services,” said Perez. Student life, career services, intercultural student support and campus counseling are now all located in the same building, allowing students to meet all their needs in one location. Several of these changes involved moving departments into more visible spaces. 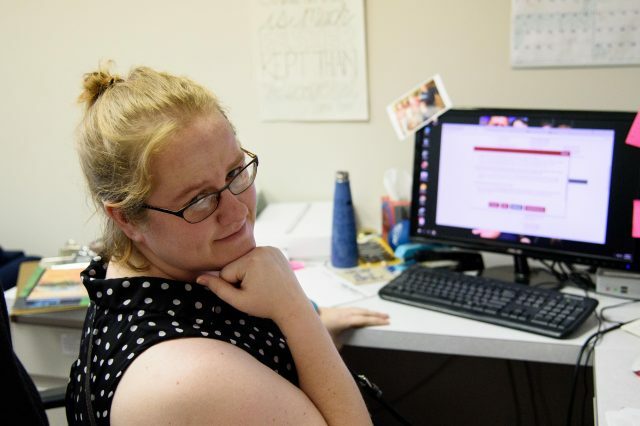 For instance, by relocating campus counseling from the basement of Kulp to the main floor of Wyse, the college can take steps towards normalizing counseling services and providing students with the help they may need, said Steinke. Additionally, placing career networks in the same space as student life “provides students a visible space for engaging on career planning and skill building around job readiness,” said Perez. Not only does this move allow the college to better reach students who previously may not have found their way into the student life office, but it allows for better partnership within the department, which in turn goes on to benefit the wider Goshen College campus. Recent initiatives to provide such communities for students are numerous. Over the past year, student life staff have been working to reach out to commuter students and meet their needs, said Coleman. Additionally, the department has taken initiatives to collaborate with Advocates and Prism faculty advisors as well as with Mosaic, Health and Healing Arts. “We want to support more openly LGBTQIA students by offering more programming and services through student life,” said Perez. In the new student life office, students of all kinds can find the help they need to thrive at Goshen.